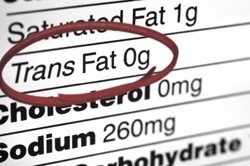 The battle against Trans Fats in the Standard American Diet. Don’t worry, this isn’t one of those articles where we collectively dive down a rabbit hole of technical jargon that requires a chemistry degree in order to understand what trans fats are. I’ll make this short and sweet. 2.) Industrial trans fats, or hydrogenated fats – These fats are the result of pumping hydrogen molecules into vegetable oils, thus changing the chemical structure of the oil. This changes it’s chemical structure from a liquid into a solid. This process involves high pressures, hydrogen gases, and a metal catalyst. After hydrogenation, the vegetable oils has a much longer shelf life and is solid at room temperature. The consistency becomes similar to saturated fats, however it differs from saturated fats in several very dangerous ways. At high temperatures this vegetable oil’s molecular structure becomes unstable and highly toxic. These hydrogenated, and partially hydrogenated oils have proven to increase the production of dense LDL lipoproteins, decrease production of HDL cholesterol and thus increase the risk factors for coronary heart disease. 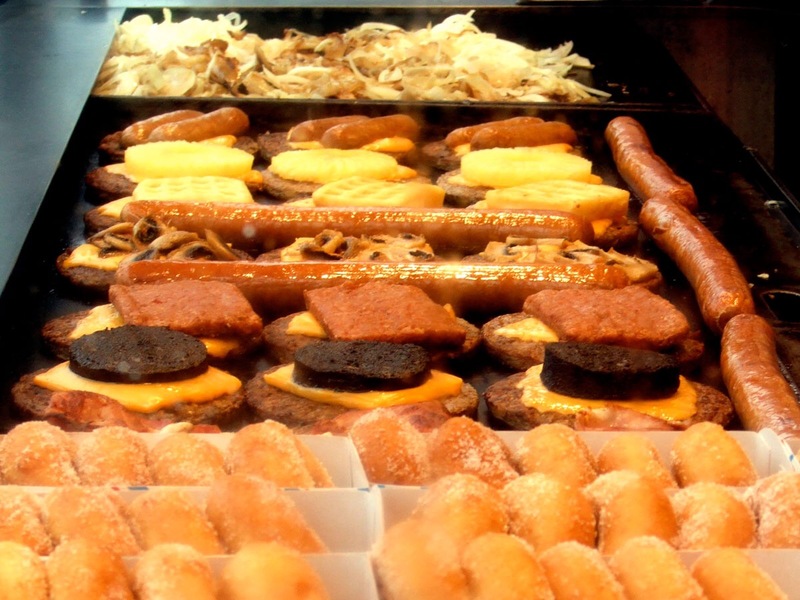 Several studies have linked trans fats to cancer. It has also been proven that these industrial trans fats have a causational relationship with inflammation which is a precursor for not only heart disease but also metabolic syndrome, diabetes and arthritis. 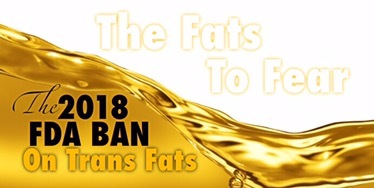 Almost one year ago, the FDA implemented a three year phase out program to rid the American diet of trans fats by June of 2018. “It’s about time,” says Dr. Fred Kummerow who was instrumental in discovering the correlation between trans fats and heart disease way back in 1957! Since then, heart disease has become the # 1 killer of men and women in the United States. 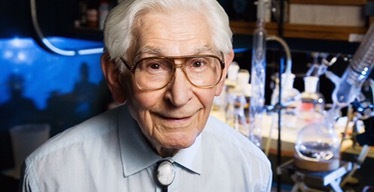 Dr. Kummerow, who will be 102 years of age this October, has made this battle his life’s work. My hope is that he gets a chance to see this process through to completion. Meanwhile, in that other trans community, AKA the food industry, the pushback on the trans fat ban is a very real thing. 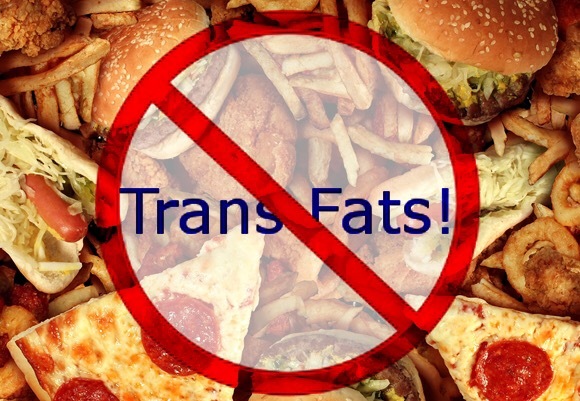 Due to the overwhelming evidence of the dangers of trans fats, you’d be hard pressed to find anyone opposed that didn’t have a political or financial motivation. Oh yes, they are out there, and are jumping and diving through loopholes. The most common being that the FDA does not require the listing of trans fats on food labels if it has less than .5 grams per serving. Though many players in the food industry are claiming proactivity and reinvention, most are teetering on the threshold of honesty by adjusting portion sizes on food labels to accommodate a less than .5 gram trans fat inclusion. This even gives them the opportunity to boast “no trans fats” on the label, which is more often than not just a bold faced lie. First, the FDA is and always has been a very political organization. The FDA regulates both foods and drugs. The FDA has had budget increases that were funded by both the food and drug industries. Enough said, I’m sure you can do the math. With all of this in mind, you’ll likely not be too surprised to learn that this trans fat ban is not really an across the board ban at all. 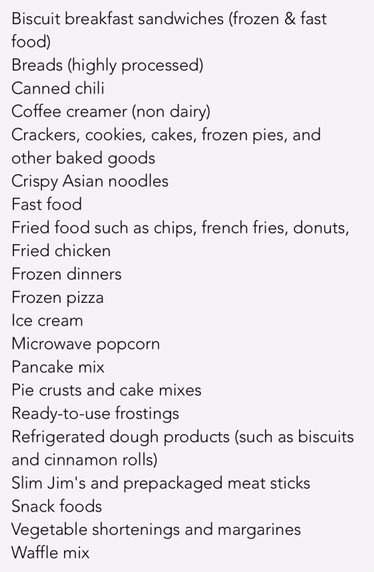 There are already procedures in place for food companies to petition the FDA for approval of their products that contain more than .5 grams of trans fats. Are you thoroughly disgusted yet? In short, in spite of these new trans fat restrictions, it is imperative that we, as consumers, educate ourselves as to where these rancid trans fats are hidden. As implementation of these new regulations progress, food companies and restaurants will be struggling with the transition. 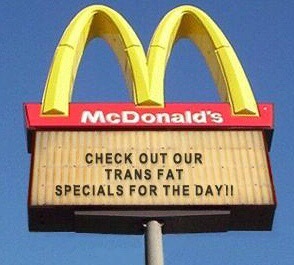 They don’t want to completely let go of their precious trans fats for several reasons. As toxic as they are, hydrogenated, and partially hydrogenated oils are cheap, last longer in the fryer which allows for multiple uses, they also improve the texture of some foods for improved palatability and extend the shelf life of many foods. The food companies will not be giving up without a fight. Don’t just assume that because your favorite wing house doesn’t bread their wings that they are right in line with your NSNG, low-carb, Ketogenic, or Paleo diet plans. They could be fried up in toxic vegetable oil. Don’t be afraid to ask your server how your meal is prepared. I used to be timid about asking questions, those days are long gone. Avoid cooking with processed vegetable oils, margarines, hydrogenated oils, partially hydrogenated oils, interestified fats – sunflower, safflower, cottonseed, canola, soybean, grapeseed and corn oil are all damaging to your health. 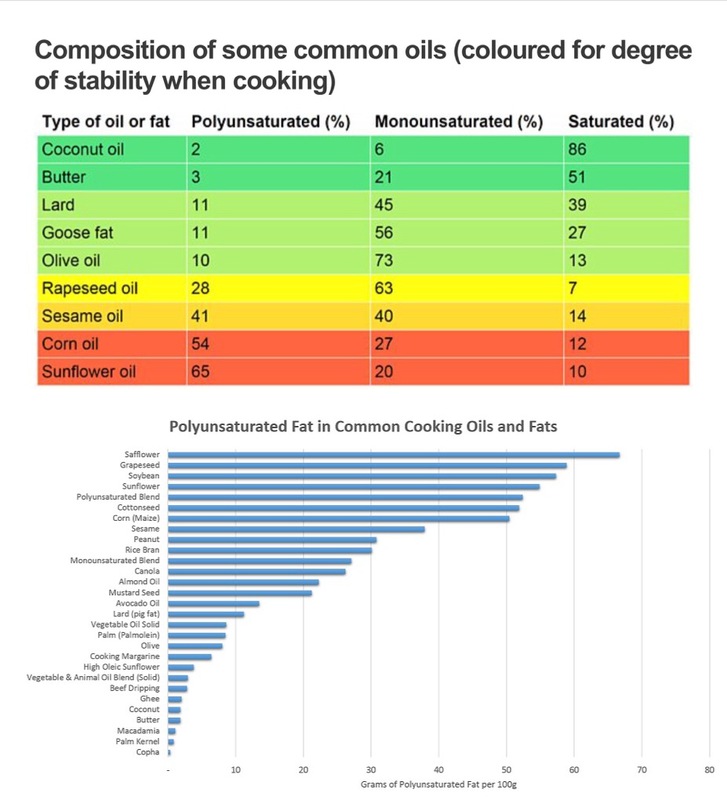 Notice that the most stable oils are those with the largest percentage of saturated fat, while the most unstable are those with the largest percentage of polyunsaturated fat. 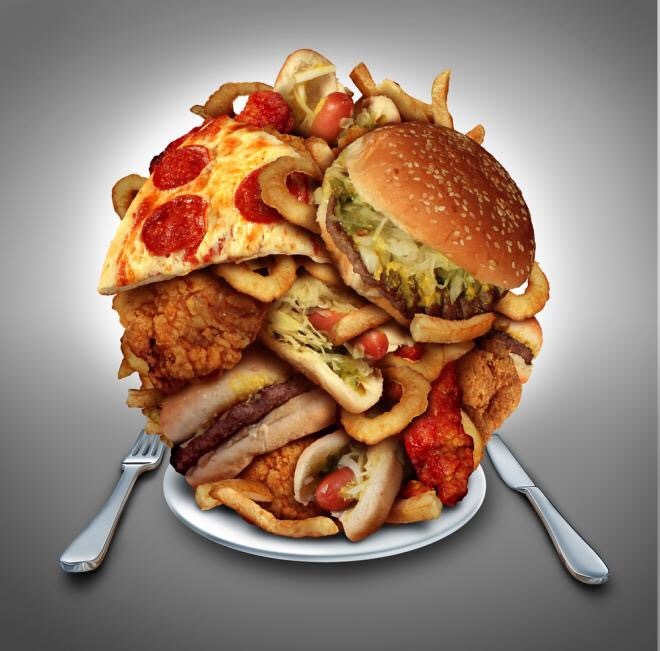 Removing trans fats from the American diet can save up to 7000 lives and 20,000 heart attacks per year. Though it’s not the issue that will solve all of our countries dietary problems, it’s certainly a step in the right direction. Get involved, share this information with people you care about. Remember, the food you eat can either be medicine or poison. 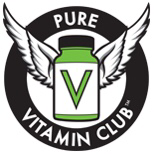 Let’s help others make the healthy choices. Great info & easy to read! Appreciate your being able to bring it to a highly informative, non-jargon/technicalese level. Will be sharing with my Keto Sweeties for T2D on fb. Maybe they will have the sense to put real fats back in food and the meat will no longer taste like cardboard. I eat very low carb and HF and if I order a hamburger with no bun when I eat out I also ask for two pats of butter and some mayo. I really don’t eat out much any more. Thanks for sharing what you learn.